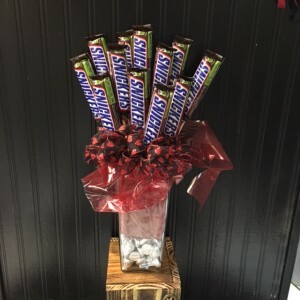 1 DOZEN CANDY BAR BOUQUET WITH HERSHEY'S KISSES! 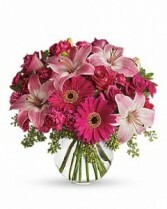 Hands full of hershey's kisses in a glass vase topped with one dozen of your FAVORITE candy bar! Specify at checkout what your chocolate passion is (specify all of the same candy bar or mix and match....just tell us want you want at checkout)!